Peggy Shannon was born to Edward and Nannie Sammon in 1907 in Pine Bluff, Arkansas. Her birth name was Winona Sammon. Later her parents would also have another daughter, whom they named Carol. Miss Shannon received her education by attending Annunciation Academy Catholic School and Pine Bluff High School. During a visit with her aunt in New York (in 1923) she was discovered and hired to be a chorus girl by none other than Florenz Ziegfeld. 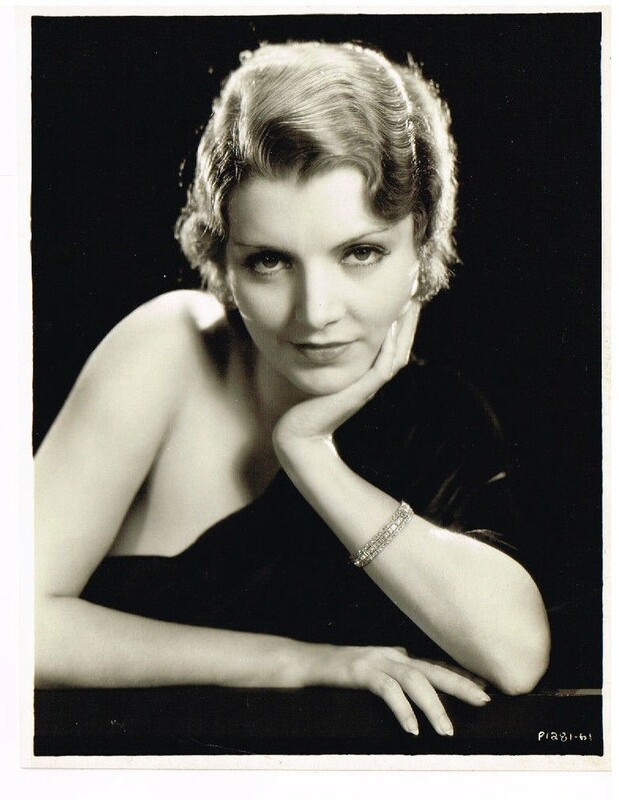 The following year she was cast in the Ziegfeld Follies followed by a role in Earl Carroll's Vanities. While on Broadway in 1927, she was spotted by B. P. Schulberg, production head of Paramount Pictures, and was offered a contract. When she arrived in Hollywood, she was hailed as the next "It girl", replacing the former, Clara Bow. Prior to the shooting of The Secret Call, Bow had suffered a nervous breakdown and Shannon was hired to replace her only two days after her arrival in Hollywood. Shannon would sometimes work sixteen hour days (from 10 a.m. to 4 a.m. the next day) while shooting a film, and when shooting wrapped, would rush to begin another film. She would occasionally work on two separate films in one day. Through films and publicity, Peggy became known as a fashion plate, wearing styles three months before they became popular. In 1932, she signed a new contract at Fox and became known as difficult and temperamental on the set and was rumored to have had a drinking problem. In 1934, Shannon returned to New York City to do the Broadway show, Page Miss Glory. Peggy Shannon stars in "Night Life of the Gods"
In 1935, Peggy joined Florine McKinney, Geneva Mitchell and Irene Ware in Universal Pictures' adaptation of Thorne Smith's best selling novel Night Life of the Gods. On May 11, 1941, Peggy's husband Albert Roberts and a fellow studio worker returned from a fishing trip to find her dead in their North Hollywood apartment. She was slumped over the kitchen table, a cigarette in her mouth and an empty glass in her hand. She had been dead for approximately twelve hours. An autopsy later revealed that she had died of a heart attack brought on by a liver ailment and a run-down condition. She is interred at Hollywood Forever Cemetery with a tombstone reading "That Red Headed Girl, Peggy Shannon". Three weeks after her death, the actress' husband committed suicide by shooting himself with a .22 rifle in the same chair in which she had died. His suicide note read, "I am very much in love with my wife, Peggy Shannon. In this spot she died, so in reverence to her, you will find me in the same spot." Roberts is buried in Wee Kirk Churchyard, Forest Lawn Cemetery, Glendale, California.